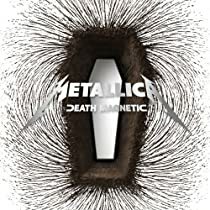 Metallica have just released the first single off their upcoming album, Death Magnetic. The track is entitled “The Day That Never Comes”. The band recently filmed a video for the track with Danish film director Thomas Vinterberg which will premiere soon. “The Day That Never Comes” is available through iTunes now. Click here. Pre-order Death Magnet now in the KNAC.COM More Store. Click here.